The school of ‘Design Cafe & Club’ – your quest for beauty! 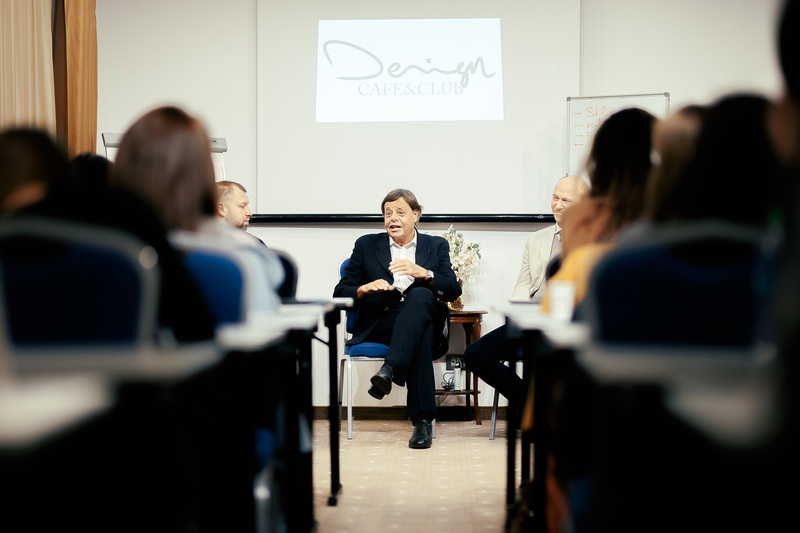 The Design Cafe & Club project is a great opportunity for those who want to discover the amazing world of design and architecture, to gain a unique experience in creating or improving aesthetics and boost creative spirit. The school of design founded by the architect Alexandrin Buraga offers you the opportunity to try your hand in this field and become a true professional, able to meet the market needs and standards of the Republic of Moldova and from abroad. We have also prepared an interactive program for you to live an interactive experience. Besides theoretical lessons, you will be able to take part in the work process, by interacting with real clients, special guests, as well as to attend demonstrations held by professionals in the field (workshops, contests, visits to specialized showrooms). For the first time we have applied a new formula of training the specialists by teaching ‘psychology in design’ – a personalized approach to each student allowing to unleash his/her potential and find his/her own unique style. – Identification of basic materials used in fitting out residential premises in line with market requirements and standards in the Republic of Moldova and Romania. – Building an informational background in the field of architecture and design. Apply now for the school of design!